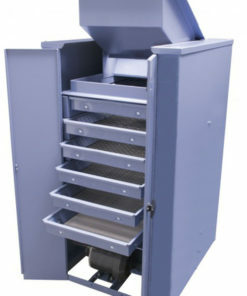 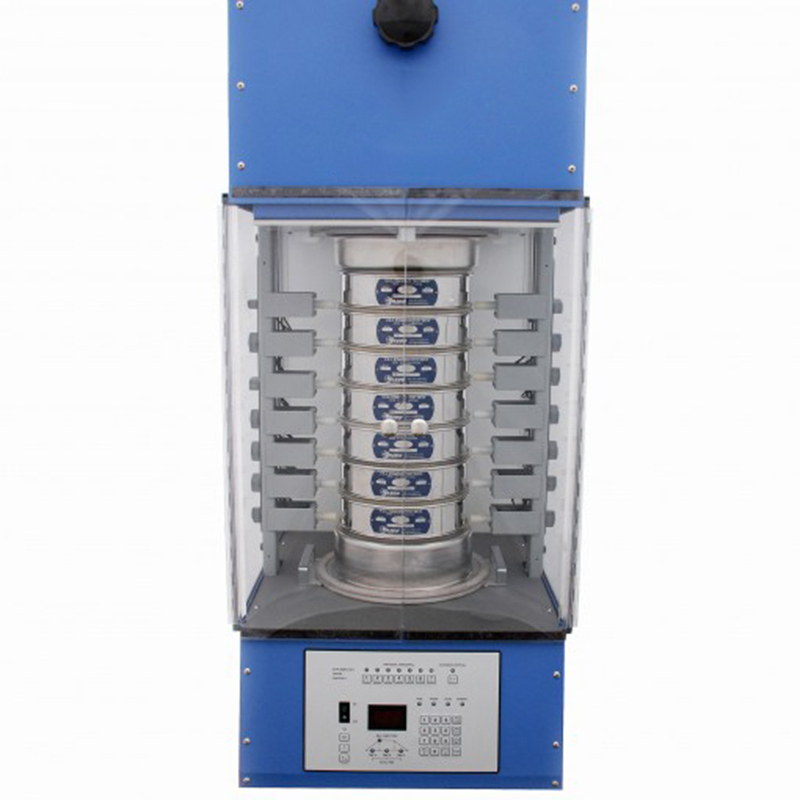 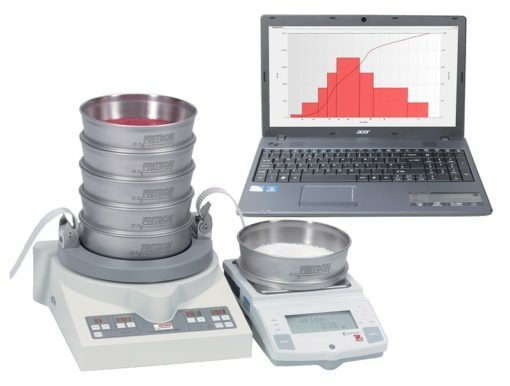 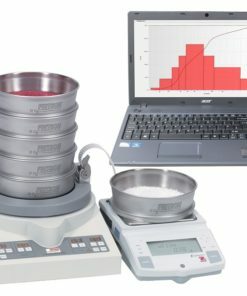 The UltraSiever Sonic Sieve Shaker accepts up to seven 8in (203mm) diameter full-height test sieves. 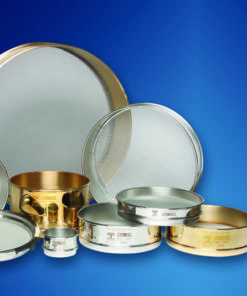 Standard woven wire sieves from 1/4in to No.635 (6.3mm to 20µm) or special precision sieves with unsupported electroformed mesh in the 150—5µm range for ±2µm precision can be used. 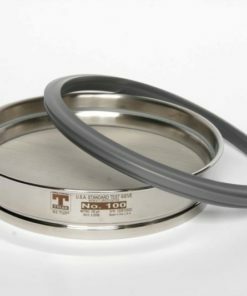 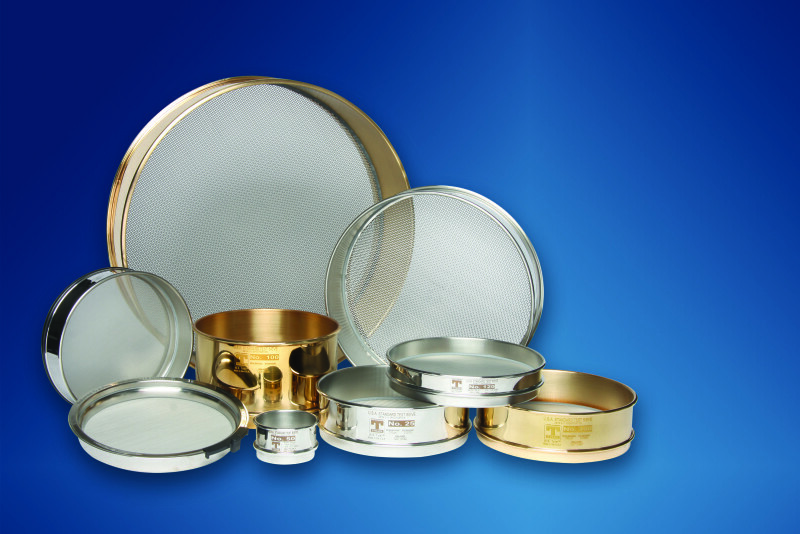 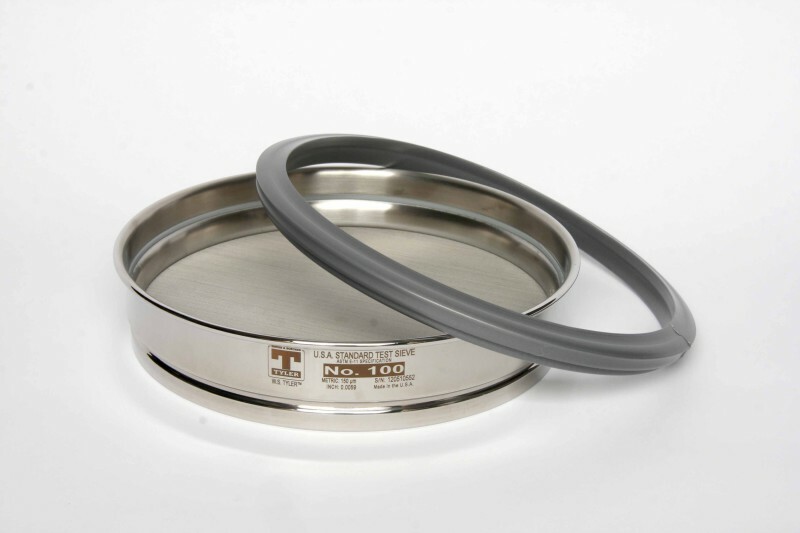 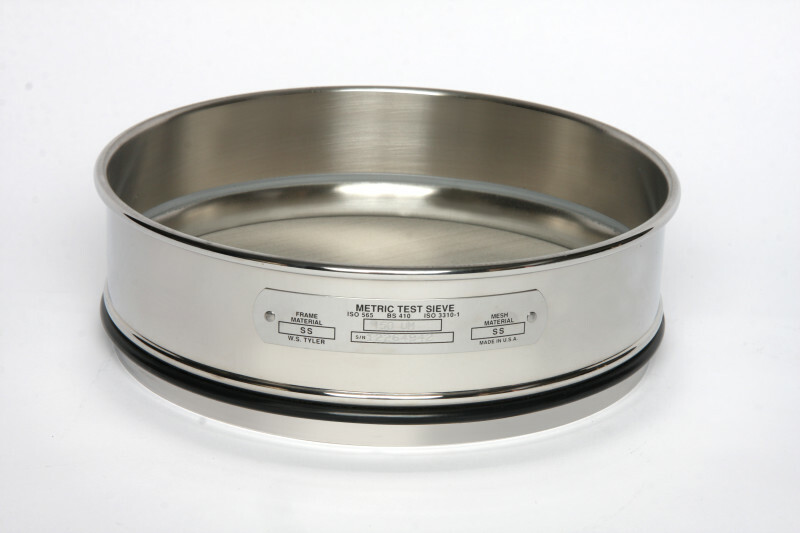 A sample size of 10g or less is typical for precision electroformed sieving below 20µm. 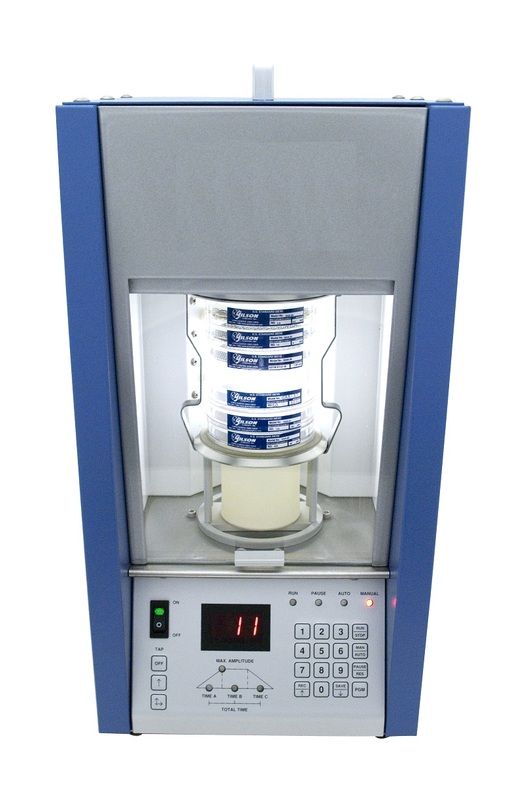 Coarser samples range up to over 100g, depending on mesh sizes and number of sieves used. 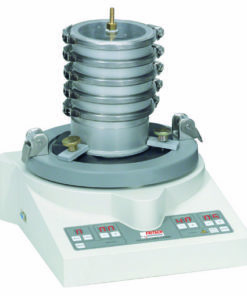 Particle size range is from 1/4in (6.3mm) top size for many materials. 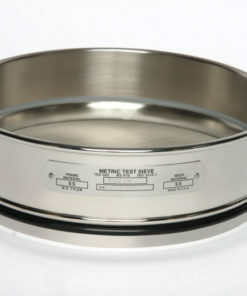 Typical sieving time is 1—5 minutes. 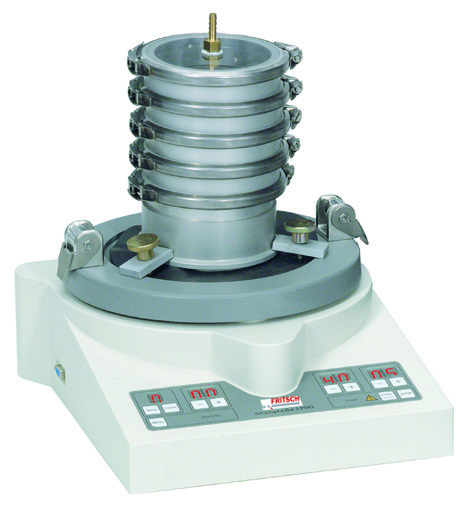 Amplitude is digitally displayed from 0—99 on a linear scale. Additional controls include switches for seven pairs of horizontal tappers positioned to tap on selected sieves. 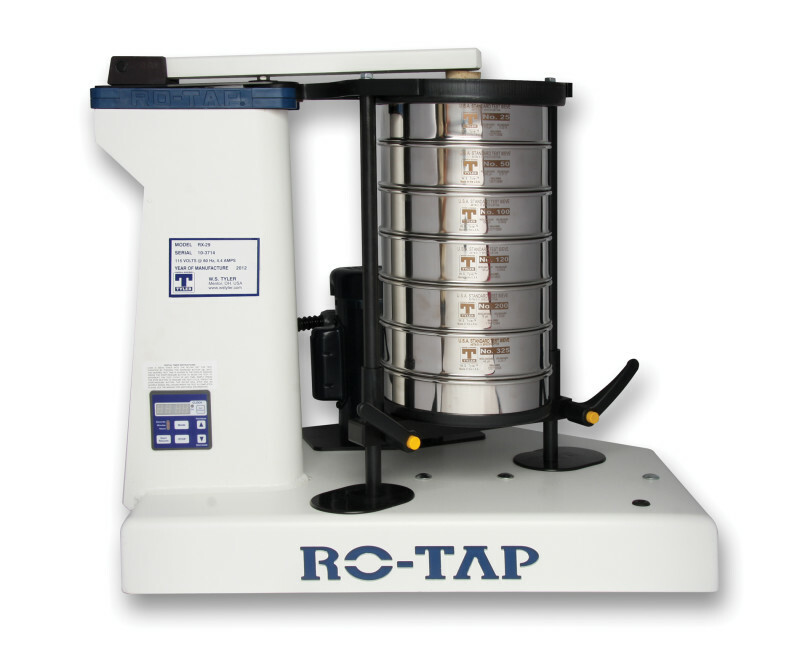 Switchable vertical tappers operate as one or two pairs. 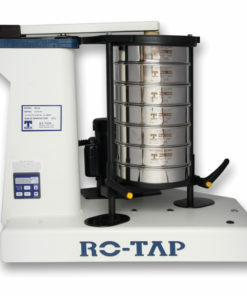 Ten-program memory stores all settings and sequences. 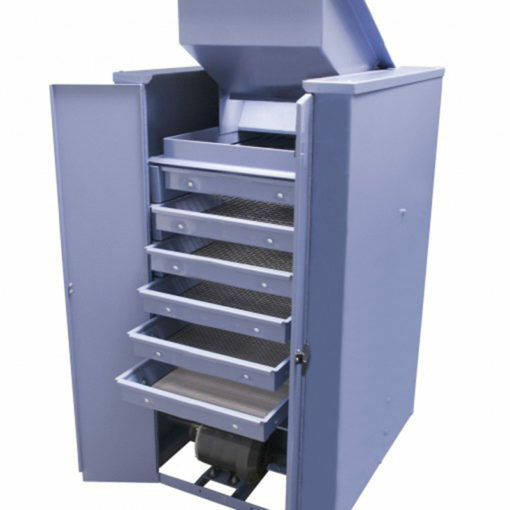 Sonic sieving uses a vertically oscillating air column to lift particles, then carry them back against mesh openings at 3,600 pulses per minute. 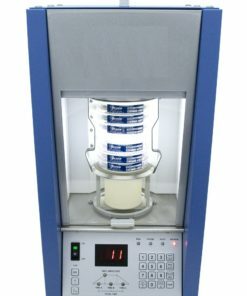 Addition of tapping action helps clear binding of near-sized particles and de-agglomerates samples with electrostatic, hygroscopic, or other adhesion problems.